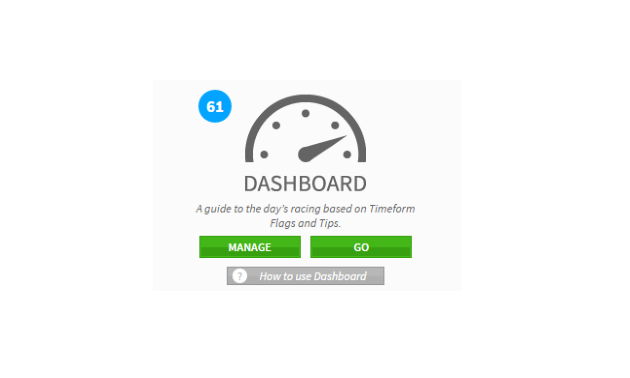 Dashboard has been created to give you an at-a-glance guide to the day’s racing, based on the pick of Timeform’s premium Flags and Tipping services. 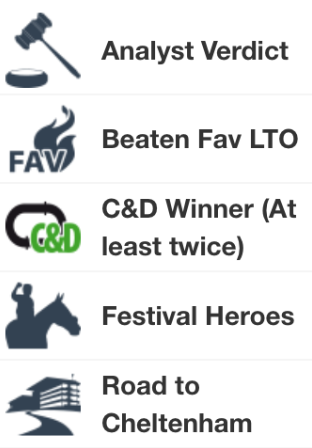 To get started, all you need to do is hit the My Timeform button, then tap ‘Go’. You will then be taken directly to your Dashboard, which we have pre-loaded with FREE Flags such as Analyst Verdict, Beaten Fav LTO, C&D Winner (at least twice), Festival Heroes and Road to Cheltenham. 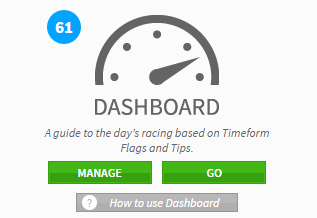 Each time a horse that qualifies for one of the Timeform Flags runs, they will appear in your Dashboard. 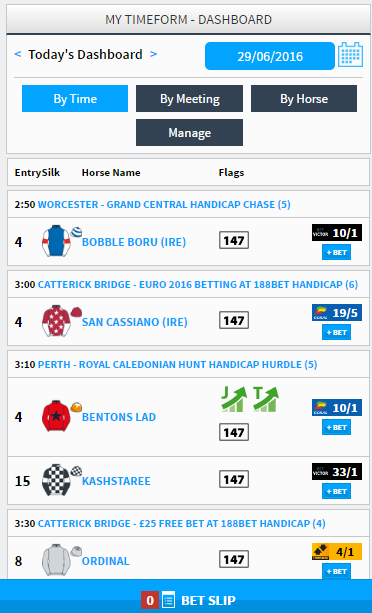 If you want to upgrade to the full Timeform experience, then tap the ‘Manage Dashboard’ button. This is where you can unlock the best that Timeform has to offer. 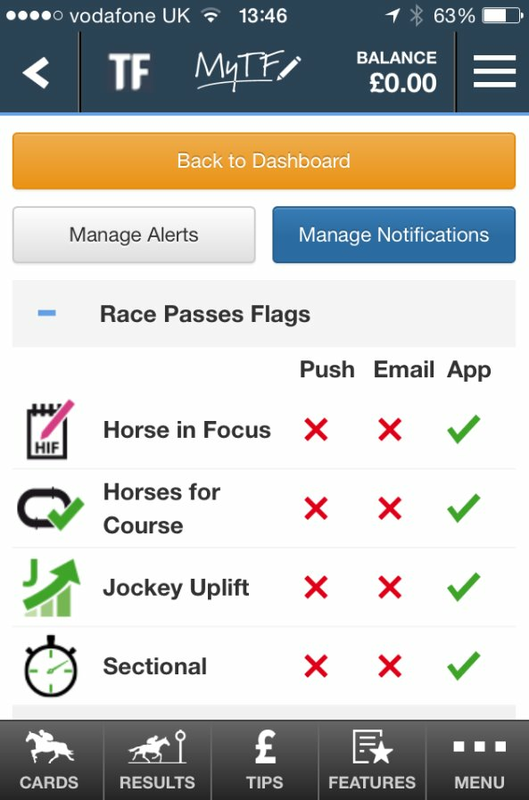 If you are an existing Race Passes subscriber, you will already have access to Timeform’s Race Card Flags. If not, don’t worry. Just subscribe to Race Passes and get instant access to our winner-finding pointers such as Horse In Focus, Trainer Uplift, Sectional and more. 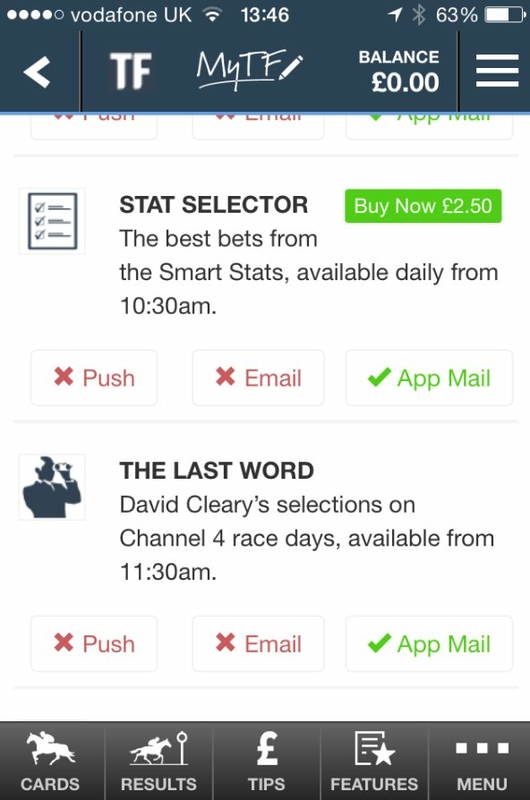 On the ‘Manage Dashboard’ screen, you will also be able to decide which selections from our top tipping articles such as Jury Daily, TV Focus, The Last Word etc you want to appear, while you can also choose to get the top picks from our Horses To Follow publications. If you have already purchased the relevant product, e.g. TV Focus, then the Flag will appear on your Dashboard automatically. If not, tap one of the green ‘Buy Now’ buttons – they appear only when an article is live – and the Flag will be added to the selected horses on the Dashboard, while you’ll also be directed to the article to get the full lowdown. What’s more, you can choose to get Alerts about your Dashboard Flags. You can choose from either a Push Notification, an Email or our In-App Message Centre. You can set your preferences on the Manage Dashboard screen, or go to ‘Manage Notifications’ for a Quick View display and simply tap for each of the notifications you would like to receive. At Timeform, we value your feedback. If you love the update, then help us out - leave a five-star review in the App store. If you have any suggestions or improvements, then please send them to timeform@timeform.com.